“Pilgrim’s Progress?” I whisper, incredulous. I am still processing this gift from God, but it changes the way I look at the things God has given me. My house: a blessing from God and the work it takes to clean it is a way of honoring God for the gift He gave me. My van: a gift from God, the chipped paint, tornado-like appearance are signs of my children. Things to be thankful for and opportunities to train my children to learn to be responsible. My money: our manna from heaven to provide for our family and their future. Oh and a wonderful chance to give for God’s glory and honor. That we may never aim for more money, but aim to honor God with what He provides. Looking at our possessions, treasures, and finances this way takes the burdens out of the treasures. It lightens our load because our things our not ours, but God’s. When we give to Him and change our mindset to heavenly thinking, our treasures are no longer burdens. Instead we offer them back to Him to use as He sees fit. So our treasures can no longer weigh us down. Father God, help us to view our treasures, finances, and possessions with You in mind. May we offer them all back to You, for they come from You in the first place. As we lay our things down to Your purpose and glory, please lighten our load. Fill us with faith to trust You for all we need and with strength to do what You ask us to do cheerfully. For Your glory and honor. We ask these things in Jesus’ name, Amen. Have you experienced lightening of your load through giving? If do you need to offer something to God today? Please Share your thoughts. I can’t wait to hear from you. This entry was posted in Uncategorized and tagged burdens, Christianity, Christianity for Seekers, Evangelism, finanaces, Gift, giving, God, Jesus, Lord, Religion and Spirituality, stewardship, treasures. Bookmark the permalink. She’s already read through Pilgrim’s Progress? What level does she read at? In any case, I find it harder to donate my time moreso than my money. I guess it has to do with coming up in the time of video games and computers, where there’s always something more entertaining to do than actual work. Where it hurts me the most are my quiet times (fortunately, you can still read the Bible online). This year God has revealed to me that I need to unplug myself more often. And so far, it’s been great. Now I’m getting things done instead of staying up in the middle of the morning slaying zombies or what not. It helps to remember that it’s not my time that I’m giving up. In an odd way, giving Him more time has given me more time. Yes Daniel, our time can be our treasure that we cling to as well. When we give it to Him it seems there is time for everything! 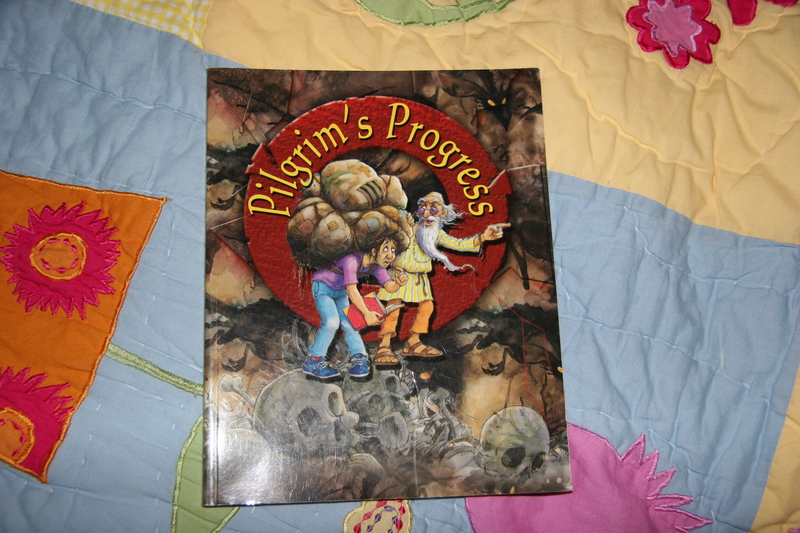 Oh and Daniel, she and I have read together the Pilgrim’s Progress for children in the picture. It is more like a picture book, but still profound. Thanks Tyler! My sweet girl is precious and often says deep things without knowing their depths. AMAZING! Hi Angela, your reads really bless me they are so faith filled and inspiring. Keep on blessing us!!!! I am honored that God would use me to bless others. Thank you for the encouragement.